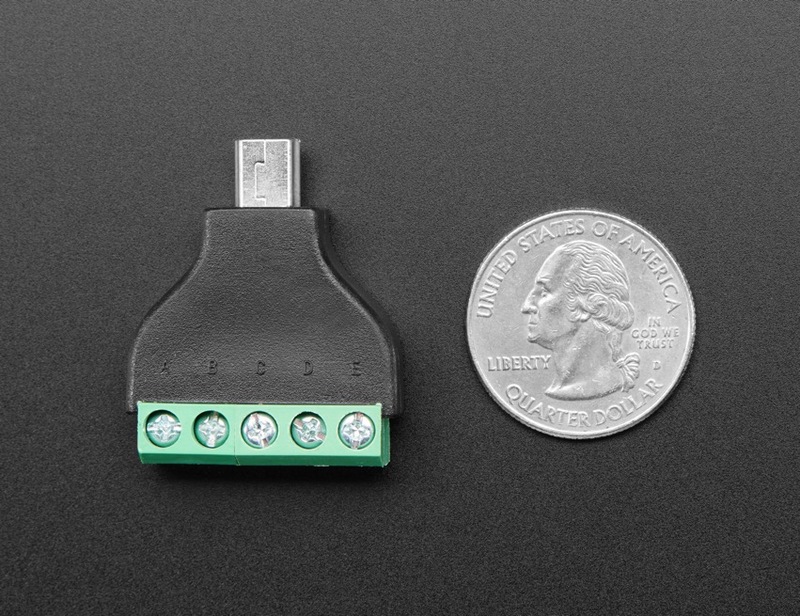 NEW PRODUCTS – USB Micro B and USB Mini B to 5-pin Terminal Blocks « Adafruit Industries – Makers, hackers, artists, designers and engineers! We’ve got these with female sockets and male plugs! 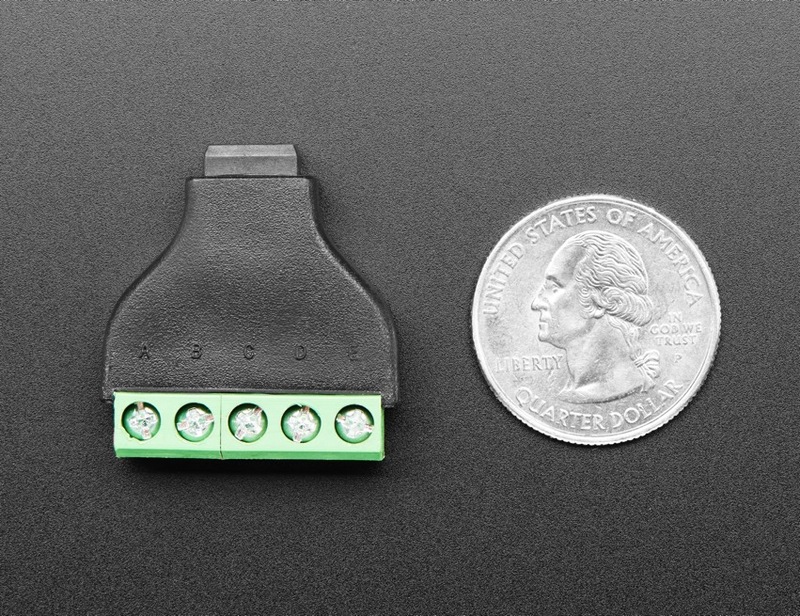 First up, the USB Mini B Female Socket to 5-pin Terminal Block! 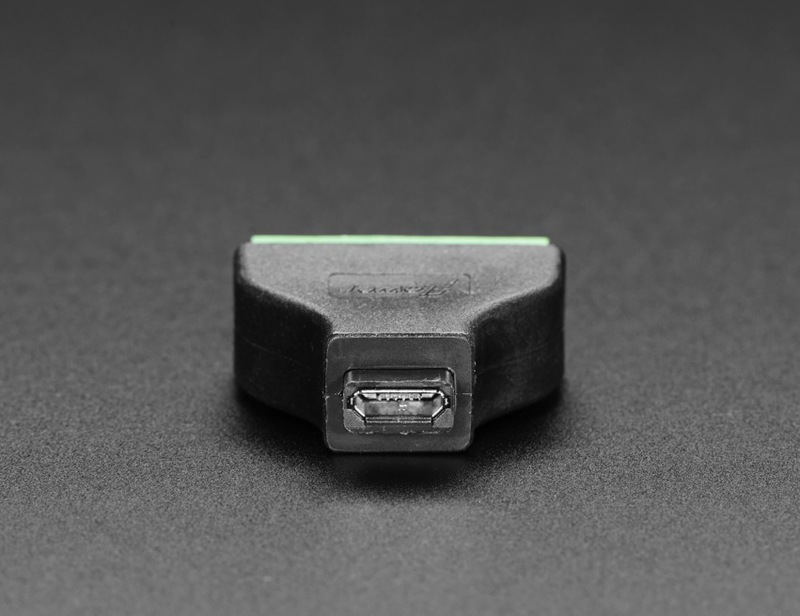 Make your next custom USB cable a breeze with a USB Mini B Female Socket to 5-pin Terminal Block. If you need to connect to a device with a mini USB plug or maybe make your own USB OTG device or custom cable of sorts – this adapter will come in very handy: no soldering required! Just use a small screwdriver to open up the terminal blocks, slide in your stranded or solid-core wire, and re-tighten. All the pins are labeled, which is really nice because we keep forgetting the order. We also carry the socket ‘mating’ version of this adapter. 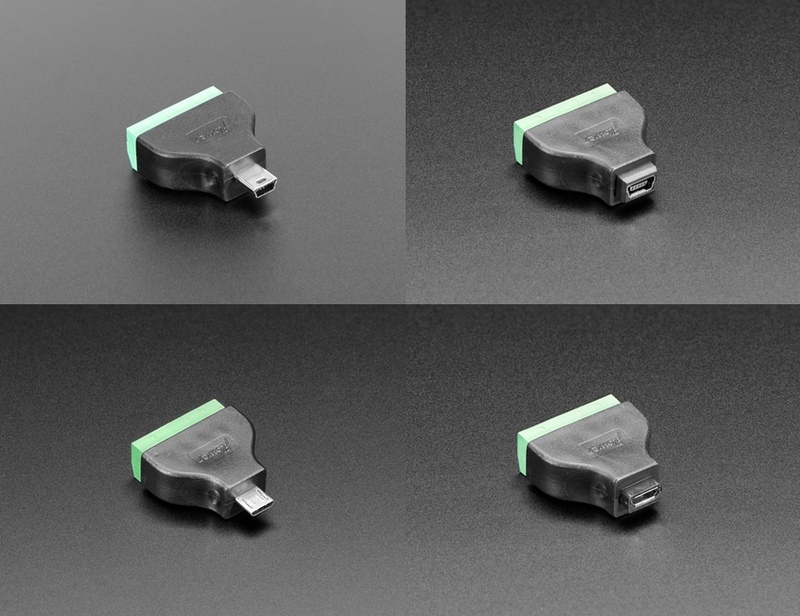 Make your next custom USB cable a breeze with a USB Mini B Male Plug to 5-pin Terminal Block. 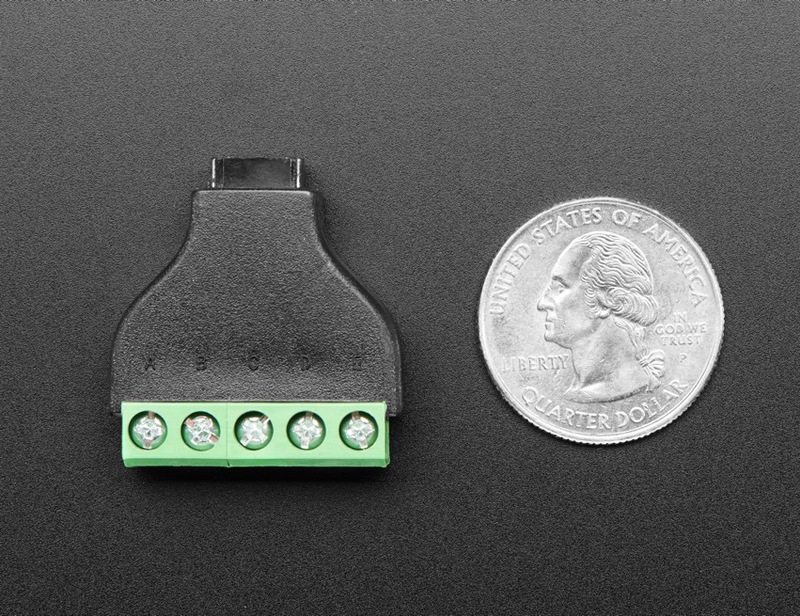 If you need to connect to a device with a mini USB socket or maybe make your own custom cable of sorts – this adapter will come in very handy: no soldering required! Just use a small screwdriver to open up the terminal blocks, slide in your stranded or solid-core wire, and re-tighten. Make your next custom USB cable a breeze with a Micro USB Female Socket to 5-pin Terminal Block. 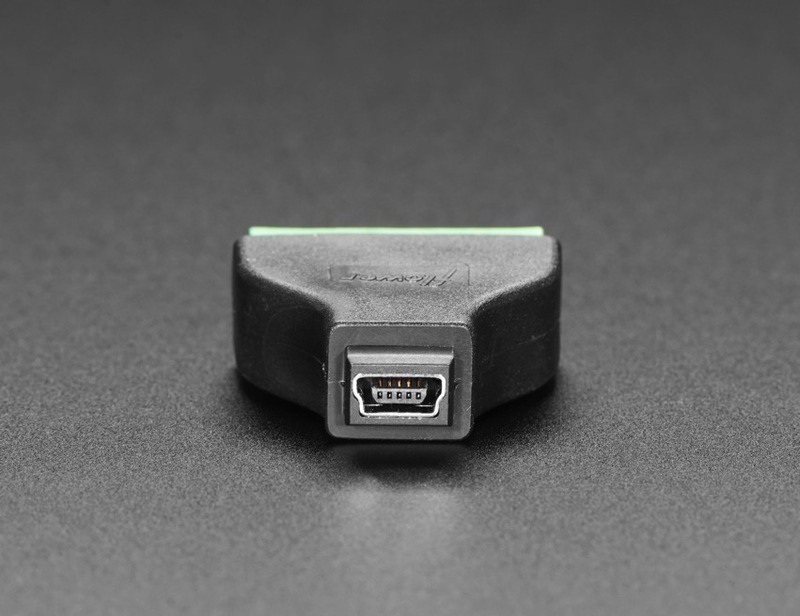 If you need to connect to a device with a micro USB plug or maybe make your own USB OTG device or custom cable of sorts – this adapter will come in very handy: no soldering required! Just use a small screwdriver to open up the terminal blocks, slide in your stranded or solid-core wire, and re-tighten. Last, but not least, the USB Micro B Male Plug to 5-pin Terminal Block! 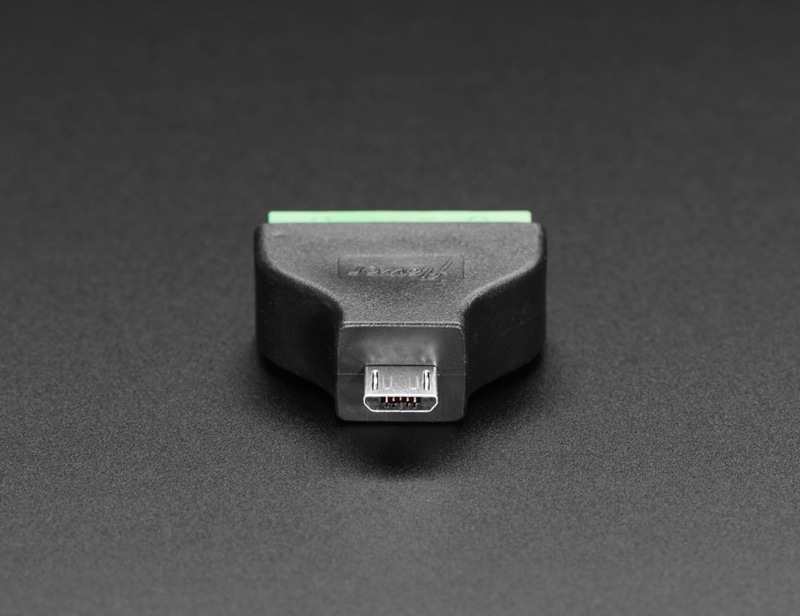 Make your next custom USB cable a breeze with a USB Micro B Male Plug to 5-pin Terminal Block. 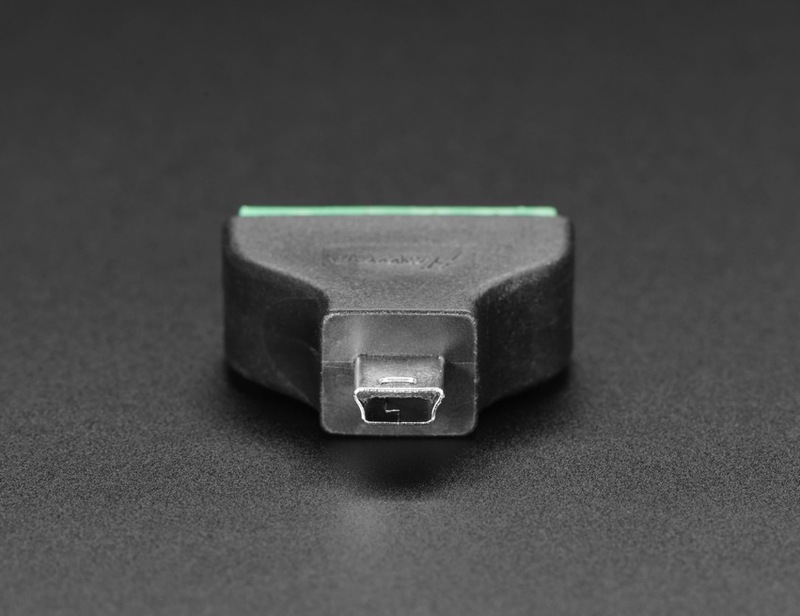 If you need to connect to a device with a micro USB plug or maybe make your own USB OTG device or custom cable of sorts – this adapter will come in very handy: no soldering required! Just use a small screwdriver to open up the terminal blocks, slide in your stranded or solid-core wire, and re-tighten.